As a young boy growing up in a very modest home in North Texas suburbia, much of what is taken for granted in today’s society was for me an extravagance. That especially included bottled soda, which was a treat reserved for special occasions such as watching a baseball game at LaGrave Field with my father, or the monthly family outing for burgers. And for me, a bottle of ice cold Hires Root Beer was as much the highlight of the evening as the event itself. 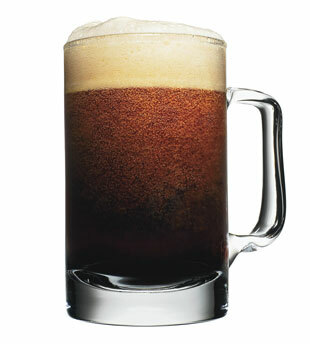 Even today, there is something about a frothy mug (or bottle) of a flavorful root beer that I find extremely relaxing and perhaps a bit more refreshing than other soft drinks. Exactly when root beer was invented is not really clear. Most food historians agree that it actually started in Europe with small beer, a homebrewed beverage made from various roots, barks, berries, and herbs that proved much healthier than the drinking water of the time. 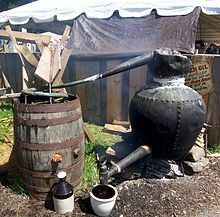 And because it was also drank by women and children, the alcoholic content was almost non-existent. Thus the name, small beer. Upon their arrival to North America, colonists soon began searching for ingredients to use in once again brewing their own beer. Since at first they did not have the barley, corn, and other grains for the process, they used whatever was available. They also discovered that Native Americans boiled the roots of sarsaparilla and sassafras plants to flavor a tea like beverage. Upon trying it, they were pleased with the taste and its similarity to spruce and birch. They soon adopted the practice to produce small beer, often using molasses as a sweetener and fermenting agent. By the nineteenth century, pharmacists throughout the country were experimenting with herbal concoctions in an effort to find a pleasant tasting “cure-all” beverage. Then in 1876 one such pharmacist, Charles Hires, discovered an herbal tea recipe while on his honeymoon. When he returned, he began selling this new “root tea” at his drugstore. Hires, an active member of the temperance movement, eventually changed the name of his beverage to root beer, partially in order for his non-alcoholic drink to appeal to Pennsylvania’s heavy beer drinking miners. Later that year, Hires presented his root beer to the public at the Philadelphia Centennial Exhibition by giving away free mugs of the drink. He also demonstrated how to make five gallons of root beer from a single packet of his root beer powder. 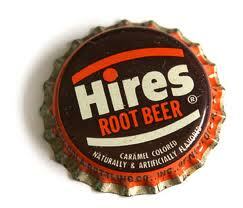 Four years later, Hires had perfected and began selling root beer concentrate to local brewers around the country. 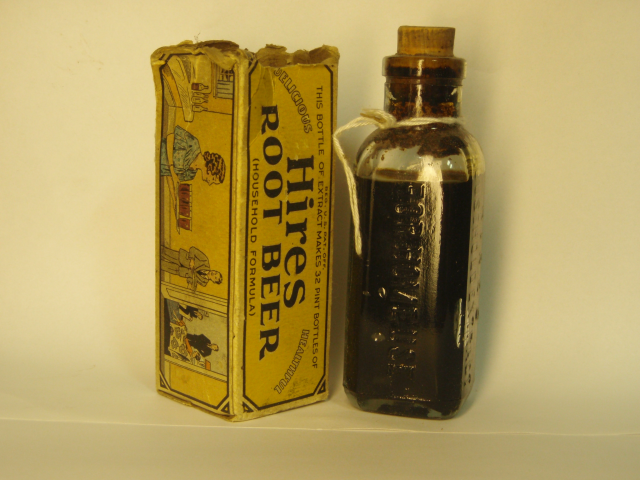 Hires Root Beer was so popular that within the first year Charles had sold more than 115,000 glasses of the stuff. In 1893, just eighteen months after he began selling his root beer at the pharmacy, Hires began producing and distributing bottled root beer. He continued to lead his company until 1925 when his sons took over the business. One of Hires’ earliest competitors was Barq’s, which debuted in 1898. At first Barq’s was not marketed as root beer in order to avoid a legal battle with Hires, who was attempting to claim a trademark of the term. Barq’s Root Beer, marketed simply as Barq’s, was very different from Hires and other root beers of the time. It was sarsaparilla based, contained less sugar, had a higher carbonation, and less of a foamy head than other brands. 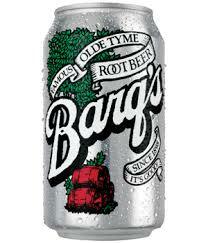 Today, Barq’s is one of the nation’s leading root beers. Another of today’s popular root beers is A&W. 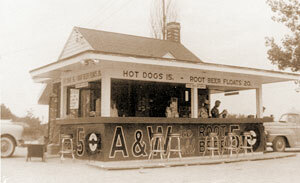 In 1919, Roy Allen set up a root beer stand at a parade honoring returning World War I veterans. It was such a hit that he partnered with Frank Wright to open a permanent root beer stand in Lodi, California using the initials of their last names as the brand name. They soon opened a second stand in Sacramento. Roy bought out his partner in 1924 and pursued a franchising program for his stands becoming the first restaurant chain to do so. By 1933, there were more than 170 franchised A&W restaurants and by 1950, another 450 had opened. In addition to franchising, A&W was responsible for a couple of other restaurant firsts–the “drive-in concept” and “tray-boys” for curbside service. The prohibition of 1919 brought about another of today’s popular root beers, IBC Root Beer. Named after the company that developed it, Independent Breweries Company of St. Louis, it too was developed as an alternative to alcoholic beverages. 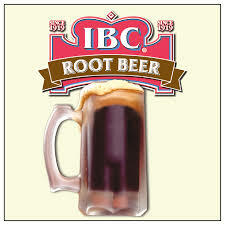 Shortly after introducing IBC Root Beer, the brewery was forced to close and the IBC trademark was purchased by the Kranzberg family who produced and distributed IBC Root Beer at their Northwestern Bottling Company for almost twenty years before selling the brand to National Bottling Company in the late 1930s. After a succession of various owners, this renowned root beer is owned today by the Dr Pepper Snapple Group, which continues to bottle it in its traditional brown glass bottle. Today there are well over one hundred brands of bottled root beers on the market, plus many more if one includes diet versions, private store labels (such as Chek, Big K, etc. ), and those available only at soda fountains. And because many of the brands are distributed only locally or at best regionally, it’s all but impossible to create a valid list of America’s best tasting root beers. That being said, you are likely to find IBC, Hires, Barq’s, A&W, Dad’s, and Mug brands on almost every top ten root beer list you encounter, although not necessarily in that order. One other interesting fact about root beer is that, except for a couple of Canadian brands and one Australian brand, you’ll not find root beer anywhere else in the world. It is an exclusively American soft drink. In fact, I’m told that the only taste other countries find more disgusting than root beer, is a root beer float. It seems they simply can’t understand why anyone would want to pour a medicinal flavored beverage such as root beer over perfectly good ice cream. Oh well, I guess there’s just no explaining some people’s tastes. Hey, anyone ready for another root beer? Buy Em: To purchase over ninety root beer brands, go to http://www.therootbeerstore.com.